Before, there were only beachfront hotels… then came Banana Island Resort dubbed as the Maldives of Arabia. 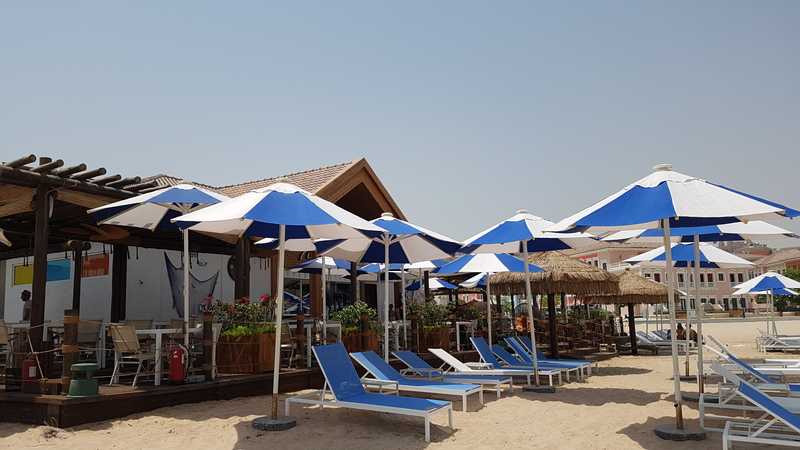 Now, there’s TALIAMARE BEACH CLUB – a new beach lounge located at Lido Venezia beach right off Qanat Quartier in The Pearl-Qatar. This is ideal for those who only want to spend a day of frolic in the sand without spending so much and without having to go out of the country. 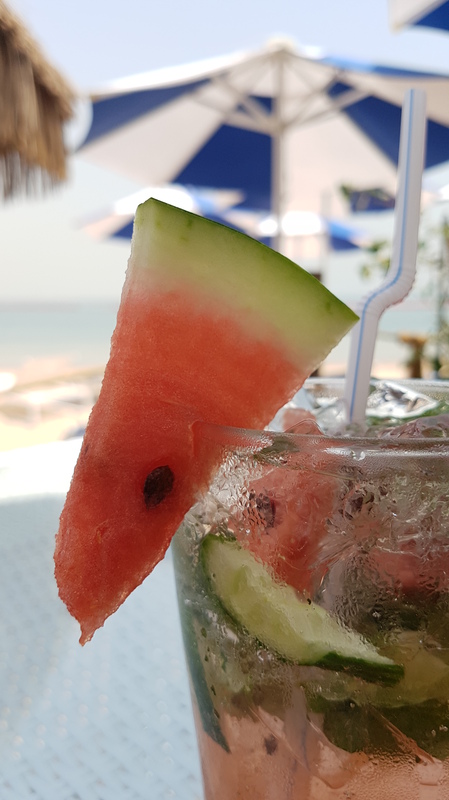 Taliamare Beach Club recently opened their restaurant during the Eid holidays offering light refreshments including salad, fresh juices, mocktails and choices of hot or cold beverages on their soft-opening menu. The private beach is exclusive to The Pearl residents. However, for the first two months of their operation, the restaurant will be open to the public until the whole Beach Club becomes an exclusive, members-only facility later on. Aside from the restaurant, they are also offering the use of sandbeds and umbrellas for a minimal fee of QR65 and QR25 respectively. 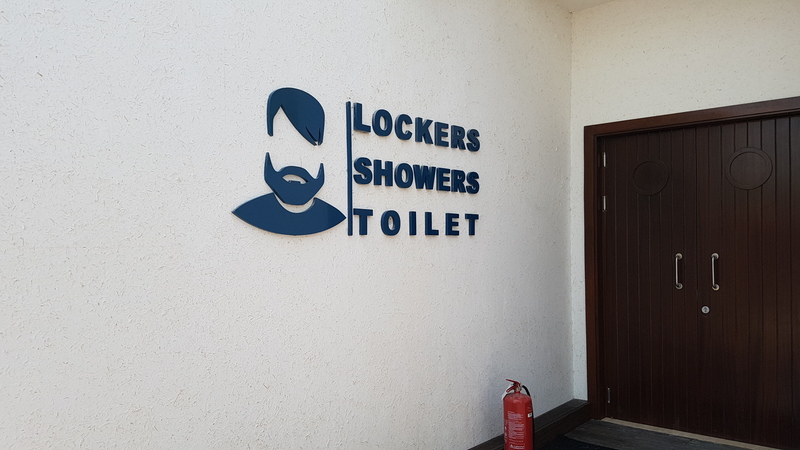 They also have a separate lockers/shower rooms for men and women. Guests (not a resident of The Pearl) who are planning to use the beach may contact the Club via their facebook page for more details. Those who simply wish to visit the restaurant for light snacks with a beachfront ambiance may come anytime. 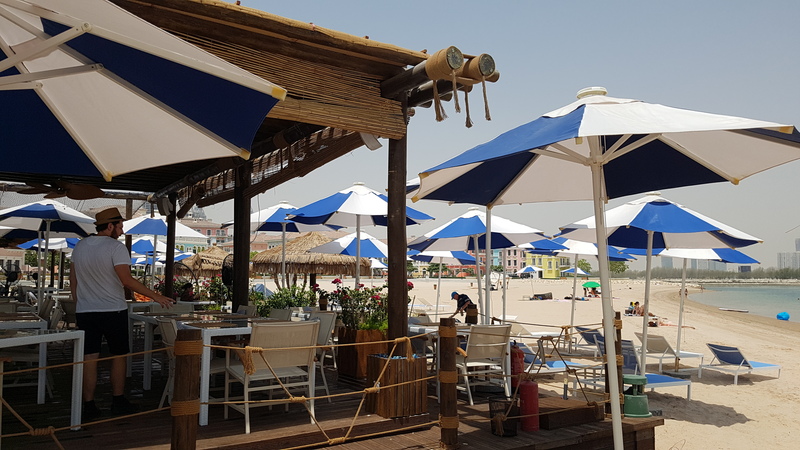 As they include more varieties on their menu and further improve their operations in time for the influx of more guests in the future, the undeniable summer vibe and the fine sand beach is definitely inviting. Feel the early morning breeze as they open at 8am during the weekends or catch the sunset til they close at around 10pm. 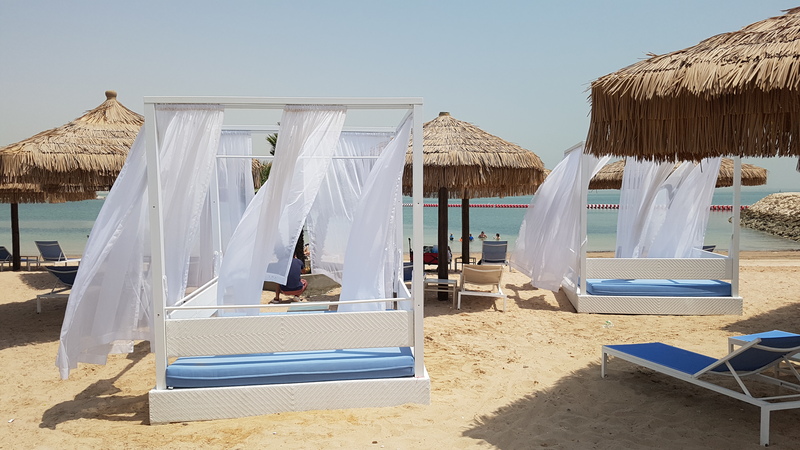 Taliamare Beach Club is sure to become another hotspot for beach lovers in Qatar.